Megan’s presentation was followed by questions from the audience. 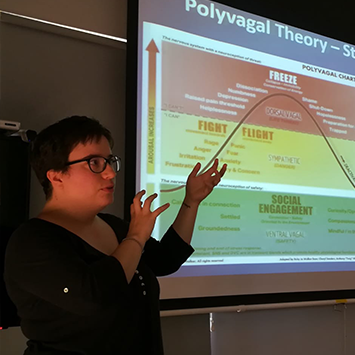 The CPMH hosted Megan Moll on 2 April to speak about how she used Tension & Trauma Release Exercises (or TRE®) to heal herself from chronic fatigue syndrome (ME/CFS) and other illnesses. I had chronic fatigue syndrome (ME/CFS) for nearly 5 years, various forms of anxiety and sensory processing disorder (SPD) for most of my life, as well as various other related ailments and symptoms. Through exploring and training in a variety of mind-body healing modalities, I have been able to fully heal myself from all of these illnesses, and am getting healthier and more grounded every day. I will talk about my journey of healing using these modalities, and specifically about my journey with TRE®, a modality which I will also talk about in a bit more detail. 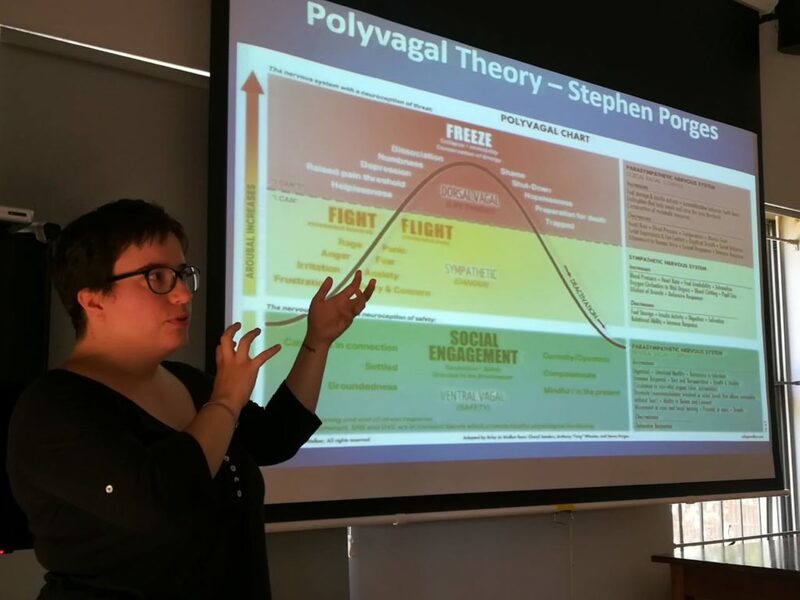 You can access a recording of Megan’s seminar and also access a copy of her presentation below. 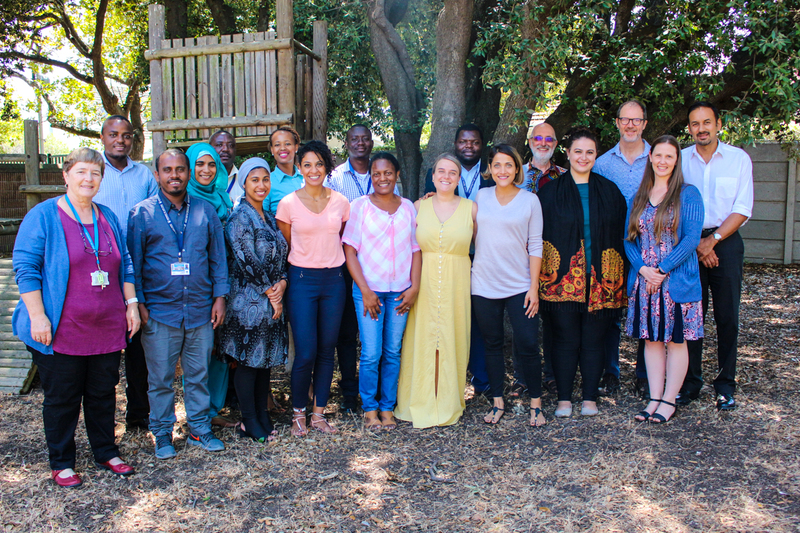 The 2019 MPhil group and their study advisors. 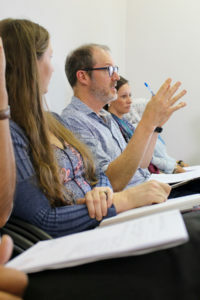 The Alan J Flisher Centre for Public Mental Health’s latest group of MPhil students presented the topics of their research to members of the faculty and other interested individuals on 8 February 2019. 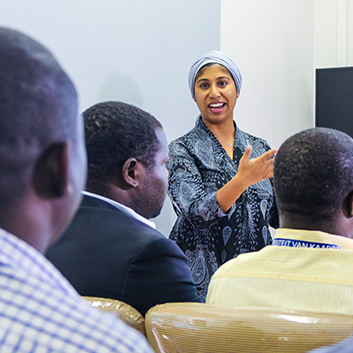 The group of 7 students’ research focuses vary greatly and a lively question and answer session followed each presentation. 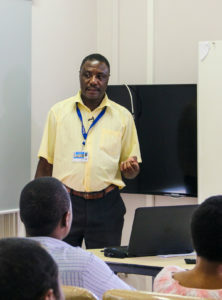 Owen Mwale presented on measuring quality and exploring barriers to quality improvement in mental health at the Zomba Mental Hospital in Malawi and Charles Shamayinda on perceptions and experiences associated with abscondment of severely mentally-ill patients at Chainama Mental Hospital in Zambia. 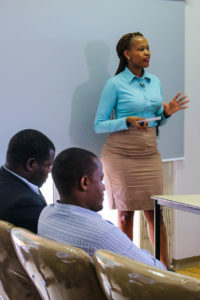 Then followed Shaheema Allie on exploring graduates’ experiences and perceptions of the Postgraduate Diploma in Addictions Care at the University of Cape Town and Zondiwe Banda from Malawi on the prevalence of substance use among secondary school learners aged 12 to 17 years of age and its risk factors in Mzuzu. The fifth MPhil student who presented was Marshall Marufu and he plans to study the prevalence and factors associated with common mental disorders among adolescent offenders between 10-17 years entering into the juvenile justice system in Bulawayo and Matabeleland, North Province, Zimbabwe. 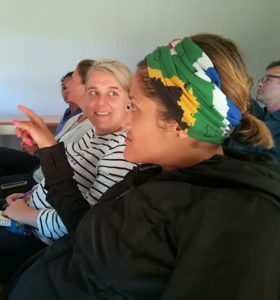 Zani de Wit plans to focus her research on the rate of depression and stress in TB infection and reinfection in a group of people living with HIV and Samukelisiwe Mbambo on the psychosocial factors associated with depressive symptoms in the workplace and using the Cape University of Technology as case study.